Does the autopost software detect when the ads have been flagged and taken down? Yes, if the Craigslist Auto Poster receives such e-mails, it clears the status rows of these ads. Next time they'll be chosen to post. Can I SPAM with CL Auto Poster ? How does your program deal with ad flagging? The CL Auto Poster uses proprietary technology to make each ad unique. In addition, when you purchase the program, you will receive a comprehensive User Guide. 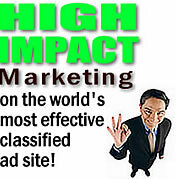 By following this guide, you have a MUCH better chance of keeping your ad from getting flagged. Will everything work with the "push of a button?" No. Our auto posting software helps you to make your mark but you need to realize that this ad posting software is a tool, not a magic bullet. With anything worthwhile, it takes a bit of work up front to achieve favorable results. If you are willing to put in some work, you can stand out and may be among the 5% who actually post multiple ads to Craigslist on a regular basis. Remember to treat posting like a business. Be smart and plan your ad campaigns. Where can I read autoposter program's description? How long is the normal wait until I receive the emails? I need more features. Can you suggest me anything else? Additional features are added often and made available to subscribers automatically. 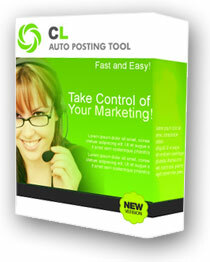 Do you offer add on modules for the posting software? YES, a list of these modules can be found within software and here. What support is offered with the autopost tool? Aside from the comprehensive User Guide and FAQ documentation, we have an internal ticket system build into the software for your convenience. This is handled directly from the programming team. Is there anything else I can read to help me ?